Most Utah racers are familiar with the cross country, road or cyclocross scene but what else is there? Downhill yes, but when you think about the Gravity Racing what comes to mind, big bikes? Chairlifts? Beer? And it requires a very specialized bike…enter Super D and Enduro racing. No longer do you need a ultralight XC rig or a chair lift bound DH bike. the 4-6inch 26/29er you probably already own will be right at home on the flowy descents that these races are held on. 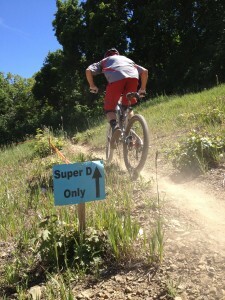 So you've heard of Super D, essentially the descending elements of an XC race, Enduro though? In Europe Enduro is huge and has been growing over the last ten years, why? Well, Enduro is similar to a great day on the trail with your friends only there are prizes and accolades at the end of the day. Enduro comes in many forms, the most common being a multi stage event where timed descents are linked by untimed climbs. this un-intimidating format welcomes the enthusiast racer while still providing elite racers the ultimate test of skill and fitness. Imagine the first minutes of a cross country race, cyclocross race or the last 2 laps of a criterium, a Super D/Enduro stage is just that intense. Now that I've got your attention, you're ready to race but where? Utahns are lucky enough to have the Utah Downhill series and a stop on the North American Enduro Tour in the form of the Bell Wasatch Enduro at Canyons Resort. 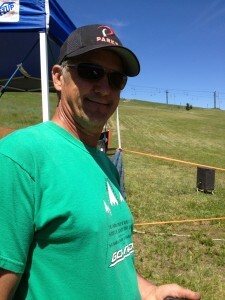 The Utah Downhill Series is led by Ron Lindley, the inventor of the Super D format. Back in the day Ron was looking for a little something different, not DH or XC but still super fun, so Super D was born. At this time of year most of the UDS Super Ds are past but Ron saved the best for last. On Sunday Aug 19th the Utah Downhill Series will host one of the best Super Ds in the nation on the legendary Dark Hollow trail at Brian Head resort! This technical Super D offers everything from rugged terrain to fast pedaly sections with an average finishing time of over 20 minutes! Now that the Dark Hollow Super D is on your list, you need to know more about the Bell Wasatch Enduro. You can thank Ali Goulet (me) for bringing the North American Enduro Tour to Utah. 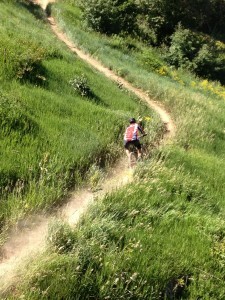 On July 21st you'll be able to enjoy premier enduro racing at Canyons Resort. Based around the Italian Super-enduro format, the event features three timed Competition Stages (descents) linked by three Transfer Stages (climbs). The Transfer Stages are not factored into the overall time, but there is a set time limit. The 17-mile course promises 1,300-feet of climbing and three descents ranging from 6 to 12minutes each. Professional chip timing, on-hill beverage station and a post-race reggae concert featuring See-I make this a can't miss event. So come on out to your local Super D or Enduro event and reconnect with the reason why you started riding mountain bikes in the first place….for the descents!